If one hears the name "Flamingo", there is not much confusion as to what it refers to. 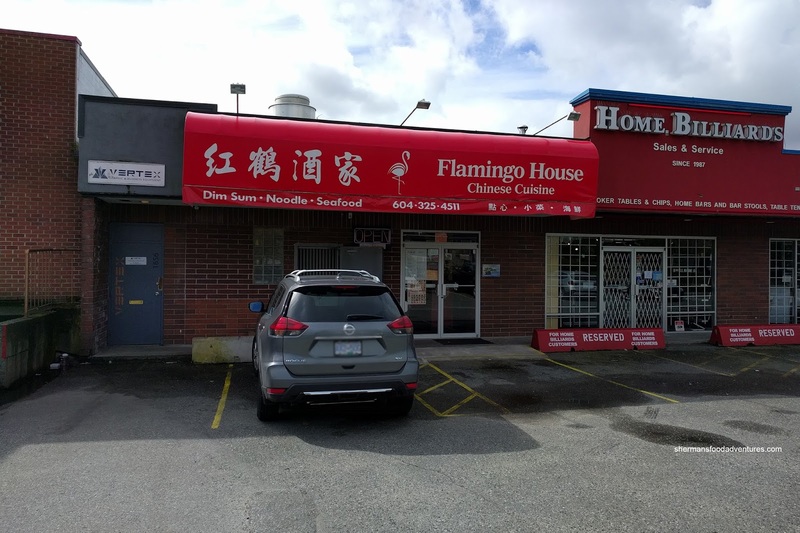 Well, I guess some might think it is a plastic pink bird on someones lawn, but really, it is one of the oldest and longest standing Chinese restaurants in Vancity. 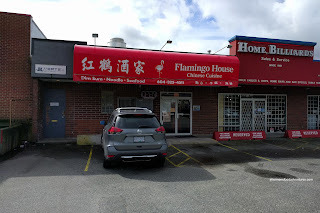 The Flamingo House occupied the corner of Cambie and 59th since 1974, but with the rising property values, it was only a matter of time someone would redevelop it into a condo or something (especially with the Canada Line nearby). So they ended up moving into a significantly smaller location on Marine Drive which used to be Kedah House. 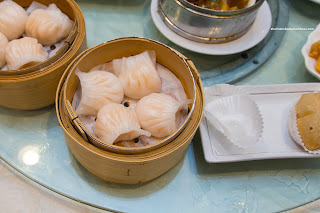 Costanza and I (with our families) decided to check out the new location for Dim Sum. I was curious how they would operate in such a confined space and really, the place was as cramped as I envisioned. No matter, we got right down to the food as we decided to get both the Deep Fried Dumpling and Baked BBQ Pork Buns from a roving server. Not really all that crispy and a bit dense, the glutinous rice exterior of the fried dumpling was a tad thick. We universally could not remove the bottom of the BBQ pork bun from the paper as it was stuck on solid being wet. It was not that appealing. 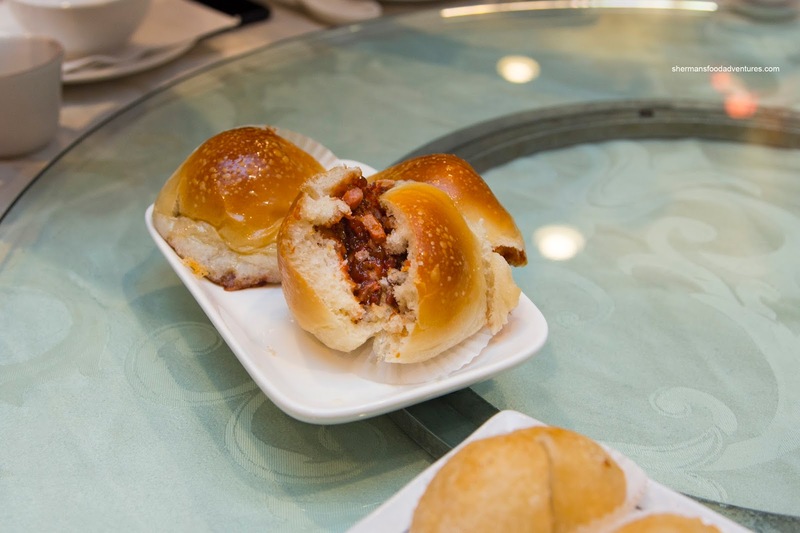 The rest of the bun was fairly fluffy while the filing was sweet and full of lean pork. Onto the must-haves, we had the Ha Gau (Shrimp Dumpling) and Siu Mai (Pork & Shrimp Dumpling). 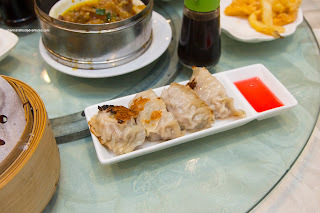 I found the dumpling wrapper on the ha gau to be on the thicker and floury side. However, it was still tender with a light chewiness. Inside, the shrimp filling was on point with featuring large pieces exhibiting a buttery snap. There was only a touch of seasoning which allowed the natural flavours to come through. 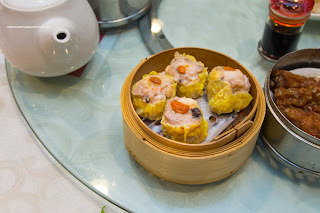 As for the siu mai, they were quite good sporting a definite meatiness that still had some rebound. 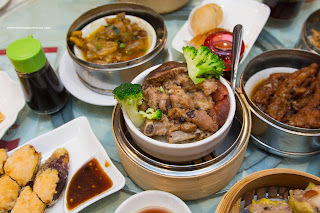 There was a wealth of umaminess from the shiitake, shrimp and natural pork flavours. 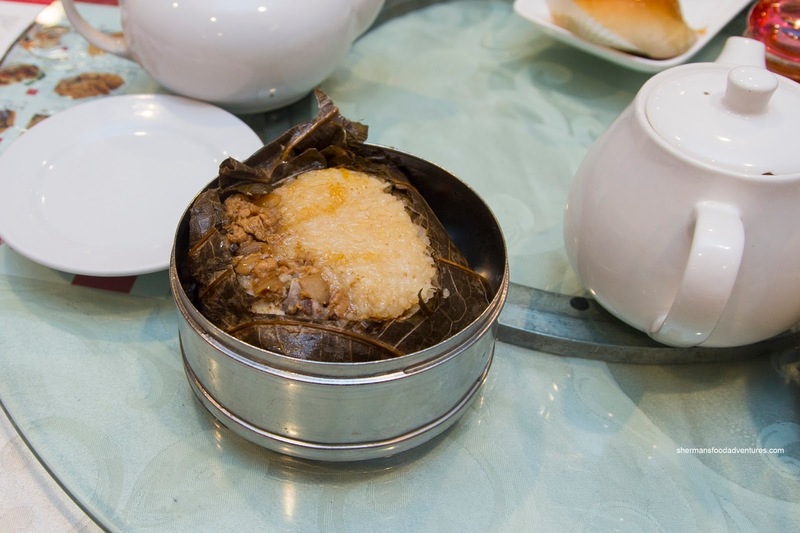 Presented in a ol' skool fashion, the Lo Mei Gai (Sticky Rice) was not separated into 3 minis, rather it was the traditional large version wrapped in lotus leaves. I find that the texture of the glutinous rice remains more moist when prepared in this manner. This was the case here and the good amount of ground pork filling, chicken and cured sausage added to both the moisture and flavour. Continuing with carbs, the Sparerib Rice was also quite good. We found the rice to be chewy and nutty while not greasy. The ribs on top were full-flavoured and garlicky. Texturally, they were on the softer side but still retained some chew. 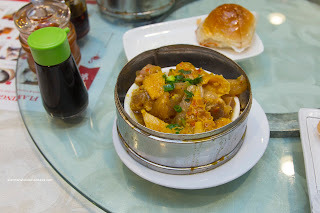 Our obligatory offal dish was the Steamed Beef Tripe and Tendons. Visually, it didn't look that great due to the pale shade and the seemingly stiff pieces of tendon. However, it definitely ate better than it appeared. The tripe was soft while still being chewy. On the other hand, it was a touch gamy. The tendon was just right being tender, yet still gelatinous and not melted. 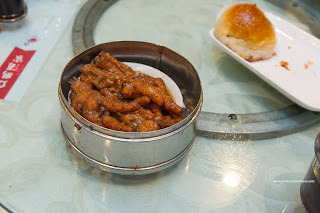 Sporting inconsistent pieces, the Phoenix Talons (Chicken Feet) were good and bad. The first one I ate was good where it was plump with softened cartilage. The second one was a bit scrawny with crunchier cartilage. Flavours were on point though being balanced. Costanza's youngest son loves Potstickers. So much so, he can eat a whole order himself. Yes, we got 2 orders of those and they were the overstuffed variety. There was much more filling than dumpling skin, which was both a positive and negative. Naturally, the positive was that the potsticker was substantial and meaty (with a good amount of veggies too). However, I found the dumpling to be rather dense and heavy. 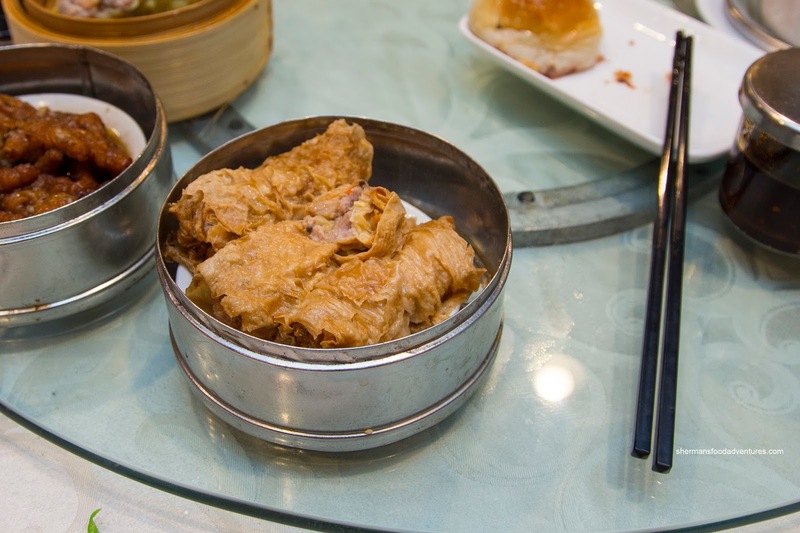 With just the right amount of pork filling, the Bean Curd Skin Rolls were on point. The rolls were somewhat loose, but as I said, I don't like the dense fillings. Hence, it ate a lot lighter than it appeared. 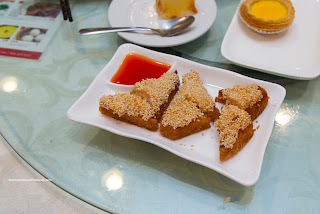 The bean curd skin was appealingly chewy and moist. Something not found on many Dim Sum menus these days is the classic Shrimp Toast. Sure, I fully realize that deep-frying toast means plenty of grease, but there is something so tasty about this dish that I conveniently forget. This particular one was good with crispy toast and bouncy sweet shrimp mousse. The addition of sesame seeds on top added more crunch and aromatics. One of the best dishes was the Deep Fried Squid, as unlike the toast, it was not greasy at all. 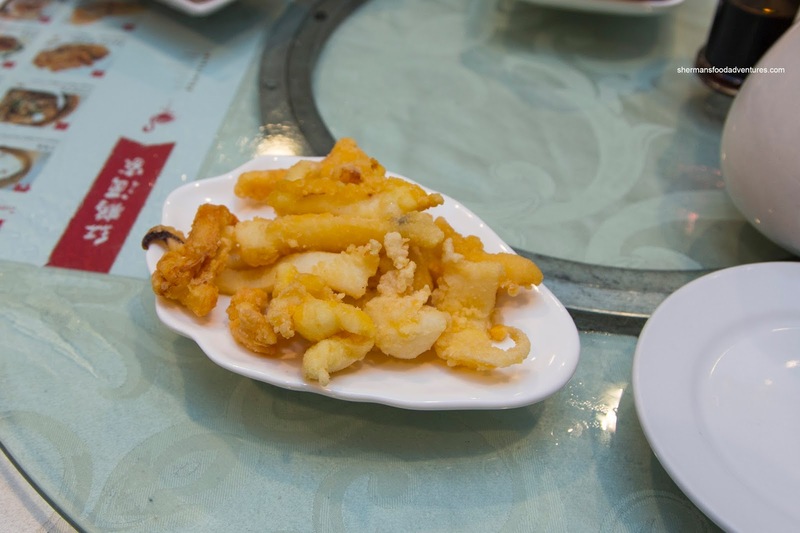 The thin layer of seasoned batter was crispy and light while the squid was tender with a nice rebound texture. For dessert, we got both the Lychee & Wolfberry Gelatin and Egg Tarts. 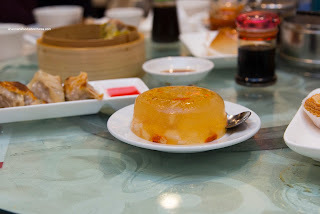 Despite being a large portion, the gelatin was terrible. It was super dense and gritty. 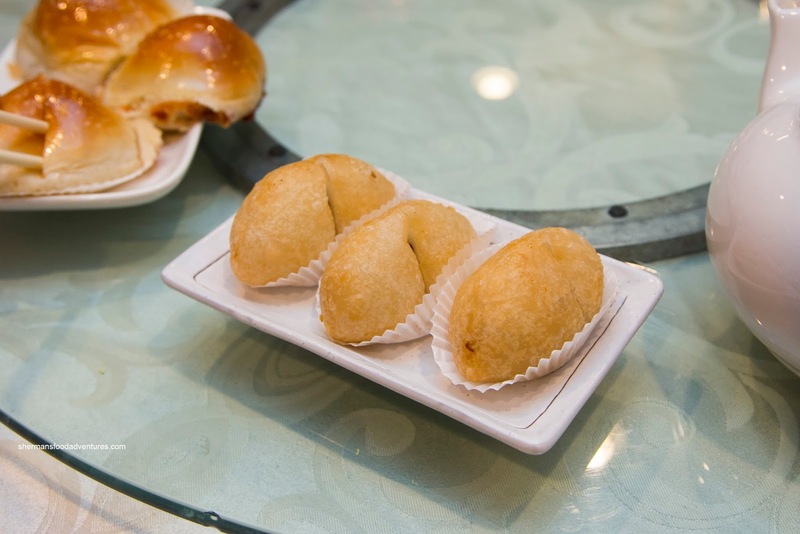 It was lightly sweet and had the essence of lychee. But the texture ruined the dish. 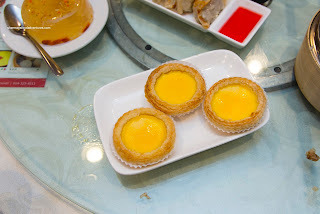 As for the egg tarts, they featured a puff pastry shell which was a bit dense as well. Even the filling was on the thicker side. It was only lightly sweet though. As you can see, the food in the pictures are pretty ol' skool. For me, it is pretty familiar but for some it may not have the appeal of some of the newer more progressive restaurants. Whatever the case, Flamingo House still does the job for a reasonable price.